South Western Railway (SWR), Railway Recruitment Cell (RRC), Hubli Recruitment against Sports (Open Advertisement) Quota. 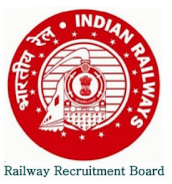 Applications are invited from the Indian Citizens for filling up 46 Vacancies (Unreserved) posts against Zonal / Railway Sports Quota to be recruited in Group ‘C’ and Erstwhile Group ‘D’ for the Year 2015-2016. 18 to 25 Years as on 01/01/2016 (i.e. must have been born not earlier 02nd January 1991 and not later than 1st January 1998). No Age Relalxation. Group 'C' : Passed 12th (+2 stage) or its equivalent examination. Educational Qualification must be from Recognized Institutions. Matriculation Plus Course Completed Act Apprenticeship / ITI approved by NCVT / SCVT. Erstwhile Group 'D' : Candidates should possess the qualification of 10th Pass or ITI or equivalent. Candidates appearing at and/or awaiting results of the final examinations of 10th or ITI or equivalent on the date of application are not eligible to apply. Educational Qualification must be from Recognized Institutions. (VI) Obtained 1st position In Federation Cup Championships (Senior Category). (IV) Obtained atleast 3rd position in Senior State Championships for all units and Districts of the state. Examination Fee: ₹ 100/- (inclusive postal expenses). No fee for SC / ST / Ex-Serviceman / PWD / Women / Minorities Economically Backward Classes. The exam fee should be paid in the form of crossed Indian Postal Order (IPO) Only. The Closing date for receipt of applications is 01/02/2016 up to 18:00 Hours. For detailed notification and application form available in Employment News Paper dated 2nd to 8th January 2016 (Page No. 12 and 13).